Home / Reach Out And Read! 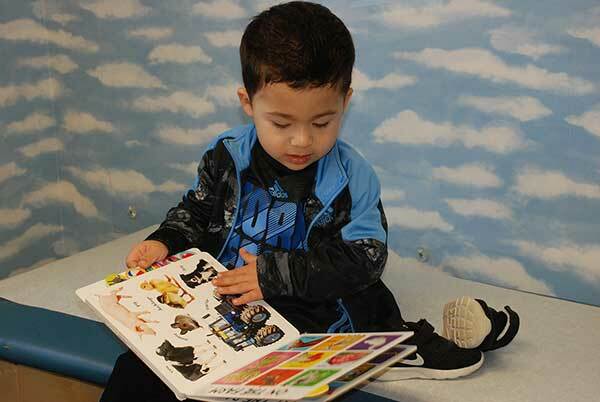 Kids Rule Pediatrics, PA is proud to team up with Reach Out and Read, which gives young children a foundation for success in incorporating books into pediatric care and encouraging families to read aloud together. Did you know that 1 in 3 American children start kindergarten without the skills they need for success at school. Students who enter school with a below level reading skill have a much higher chance of dropping out of school later in life. Plus, more than 95 percent of a child’s brain is formed during this critical period, and a child’s experiences irreversibly affect how the brain develops. Positive, responsive parenting during the early years creates the strong parent-child bonds that promote healthy brain development. Reach Out and Read doctors and nurse practitioners have the greatest access to families with children in the early years, when it counts – more than 91 percent of children under the age of six attend routine pediatric visits at least once a year. At the end of the program, every child has a home-library of books, each given with the advice to parents that they are their child’s first and most important teacher. We are proud to support such a honorable and rewarding program!